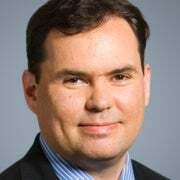 A Google spokesperson declined to confirm the report regarding the tech titan’s plans, but if the app is developed, it would set a dangerous precedent. Access to China’s massive internet market is what would motivate Google to undertake such a move. Websites such as Wikipedia and the BBC would also be blacklisted. Controversy over its dealings in China is nothing new for Google. In 2006, Google and a handful of other large companies endured a human rights hearing before a House committee because of their business with Beijing. 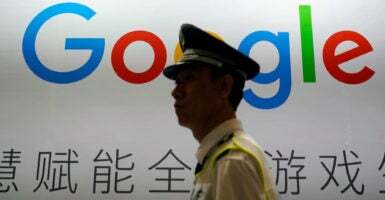 Lawmakers criticized Google for impeding the free flow of information by agreeing to operate under China’s censorship laws. Google suspended its search engine in China in 2010 because Chinese hackers stole company information and “pilfered Google computer code and tried to peer into Gmail accounts of Chinese human rights advocates” in 2009, but the company has never entirely given up on the financial allure of the Chinese market. Considering the controversy, scorn, and hacking the company was subjected to, why is Google considering the app? The Google mission statement indicates the company should balk at censorship. The statement reads that information should be “universally accessible and useful,” implying it should not be a tool of a communist state. The reason Google might compromise that mission statement is quite simple: China’s economy is too enticing to ignore. Not operating in China costs Google access to the estimated 772 million internet users in China. To put that figure in perspective, China’s internet market accounts for more than 20 percent of the world’s internet users and is larger than the size of the entire population of Europe. Fitting within China’s so-called “Great Firewall” reopens tremendous business opportunities—but at the cost of individual liberty and freedom. Google will set a poor precedent if it produces an app engineered to fit China’s communist demands and suppresses freedom of speech and thought.